In order to truly enjoy the PC gaming experience, you'll want to spend money on a decent keyboard, mouse, and surface for that pointer to glide on. We rounded up some deal highlights for Black Friday. If anyone them grabs you, you'll want to act fast, because they will not last. The Razer Kraken Pro V2 has been around for some time, but Razer doesn't really need to improve it. Not only does the headset sound stellar in-game, it's also incredibly comfy to wear for hours at a time. There are a few minor drawbacks, including the sub-par microphone, but it's not a deal breaker and is well worth the discounted price. 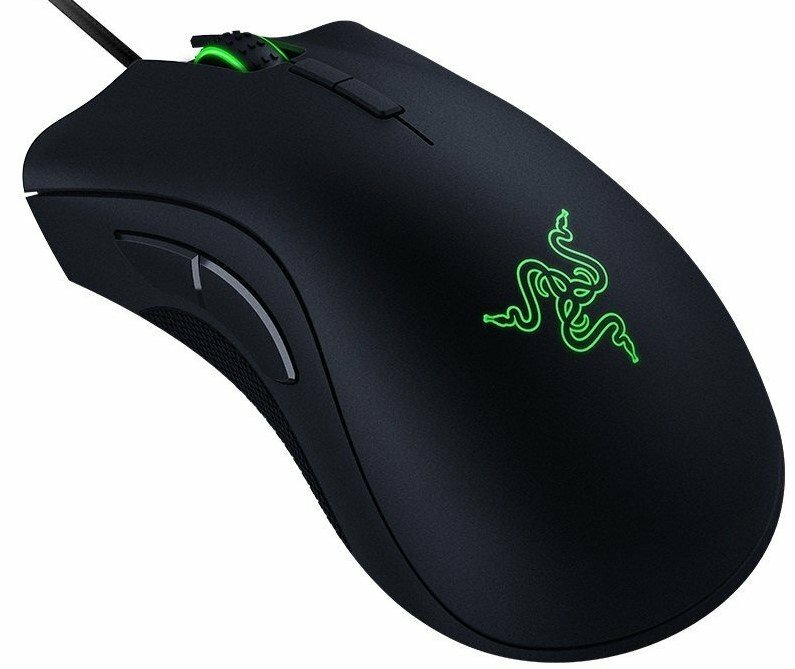 Razer's DeathAdder Elite is an awesome gaming mouse with a 16,000-DPI optical PMW3389 sensor, so you'll be able to take out enemies more effectively on the battlefield. And since this is a Chroma product, you'll have access to 16.8 million customizable color options for the RGB lighting. When you need not only a keyboard but also a mouse and mousepad, Razer's Holiday Chroma Bundle is one you should consider. The package, which includes a Cynosa Chroma keyboard, Abyssus Essential mouse, and Goliathus mousepad, is also a great option as a gift for any gamer this holiday season. Logitech produces hardware countless Windows PC owners and gamers rely on, and the trusty G230 is a well-priced option for those on a tight budget. Not only does the headset sport durable cloth earpads, but it also has a lightweight design for comfortable gaming sessions, a frequency response that should allow you to hear everything in-game, and a microphone for Discord. This closed back headset from Sennheiser has cushioned foam earpads for high quality noise isolation and comfort. And because the headset is from this reputable audio brand, you know it's going to sound good. The built-in microphone allows you to speak to teammates on Discord, but you won't be able to detach it. Logitech threw some great features at the G502 during development, including an advanced PMW3366 sensor, making it possible to detect minute movements on a solid surface. It's not only great for productivity, but also competitive gaming thanks to configurable DPI and weight. And, of course, the mouse comes rocking RGB lighting so you can customize it to your liking. The keyboard is easily overlooked as a simple means to type. Every keyboard is the same, correct? Wrong. This Logitech G910 keyboard has mechanical switches that ensure you never miss a stroke, and media keys and shortcuts to really play a role in your victory. Should you be a fan of MMORPGs, you'll need every shortcut button you can muster, which is exactly what the G600 offers. You've got a total of 20 thumb buttons on the side, and the polytetrafluoroethylene feet eliminate friction on nearly any surface for smoother motions and improved accuracy. A table or desk can be used as a mousepad, but in order to really push your mouse sensor to its limit, you'll want to pick up a mousepad. To make the experience even more appealing, Cooler Master opted to kit the mousepad out with RGB lighting, which isn't required, but you can easily activate it by hooking the accessory up to your PC using a USB cable. Those are the best of the best PC accessory deals for Black Friday that we could find. The Sennheiser GSP 300 are excellent cups, and if we had to pick just one on the list, that would be it.